No matter how many times you say it, there will be people that have a hard time believing that the old-timers didn’t find it all. Now don’t get me wrong. The first miners that searched the mountains and streams of the American West found most of the “easy” gold. If they found a rich, payable quantity of gold they would mine it until it was gone. However, there were plenty of places where the old-timers simply missed the gold, or they conciously chose to not mine an area. Lets discuss this, and how a modern-day prospector can find these unknown locations. A rich gold-bearing river that flows for hundreds of miles is hard to miss. Once gold was found, miners would prospect all throughout the river system in search of gold. Not all gold deposits are like this though. Sometimes gold is found is small “patches” or “pockets.” These are places where gold formed in relatively small quantities. Keep in mind that a small amount of gold might still be worth a fortune. 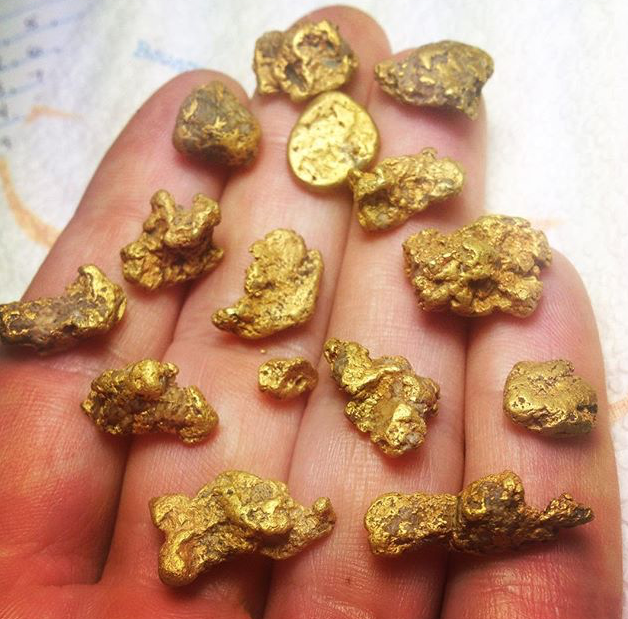 There might be a small patch that produced 20 ounces of gold within a 1-acre area. Trust me, there are still gold deposits like this out there. 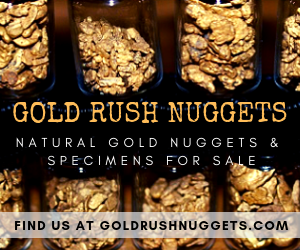 In the grand scale of the mountains and deserts, this kind of gold deposit can be easy to miss, but 20 ounces of gold is still very valuable and worth searching for! Locating patches isn’t easy. 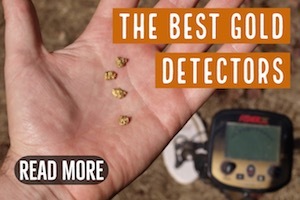 Most prospectors use metal detectors and cover large areas and many weeks with no results before finding one. Once you hit a nice patch, it can really pay off though! Another situation where the early miners might have ignored an area is when the concentrations of gold were too low. Think about what it was like back in the 1860s. 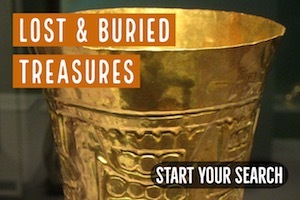 There were new gold discoveries being made every year, and lots of stories of new rich gold sources. A place that only produced marginally might easily have been ignored in search of richer ground. The difference is that gold is worth over $1,000 an ounce today, and even a relatively low concentration of gold, when mined properly, can be worth mining. Extra fine textured gold dust is the most common form of gold that you will find. Anyone who has done any gold panning knows that the fine gold is the toughest to capture. And the early miners had much cruder equipment than we have now. Places that were ignored back in the 1800s because the gold was too fine might be very profitable to work today. We have many advantages today. Gold recovery equipment like the Gold Cube and the Blue Bowl Concentrator can help prospectors recover gold that the early miners never could have recovered. Desert gold miners in the Southwest will be all-too familiar with caliche. It is a real challenge to deal with, and can make gold recovery extra difficult. Caliche is a natural cemented calcium-carbonate. Miners often refer to it as desert pavement. The stuff is difficult to deal with, can be extremely hard (sometimes just like pavement) and can actually lock in gold so that it cannot be mined using typical gravity separation methods. This is another place where the old-timers might have avoided an area because it was just too challenging to work. 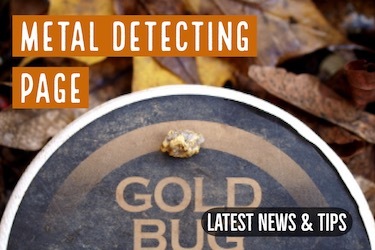 Today, a prospector can use a metal detector and find nuggets that are locked up in caliche. This is an advantage that the early miners didn’t have. Some places have very rich gold deposits, but they are smaller and scattered, rather than continuous. In place like this, a miner can still carefully read the natural geological indicators of the land and identify potential gold bearing areas. 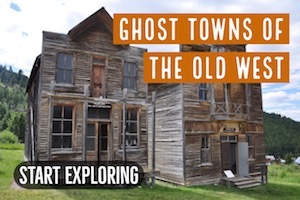 There are spots even in very well-known gold country that were missed, and a prospector can still recover good gold. Accessibility is obviously a huge challenge even now, but things were much different today. A place that you can get in a few hours might have been a weeks ride for a miner on his donkey. It wasn’t always the remoteness of the goldfields, but also the infrastructure needed to process ores. A rich gold vein might have been discovered, but without a stamp mill or some other way to crush the ore then it was no value. The same can be said for shipping ores. If there were no roads into a mining district, then moving tons of ore was impractical. Many decent prospects were abandoned simply due to logistics, even though there was plenty of gold. We have a lot of advantages today that I have touched on in this article. Places that may have been completely avoided might be worth revisiting today. Gold might have been missed for a number of reasons. It also may have been known, but due to a variety of factors it just wasn’t practical to mine back in the 1800s. Things are a bit different today. Places are more accessible today. We have metal detectors are specialized mining equipment that make gold recovery much easier than it once was. Trust me, the early miners missed a lot of gold. 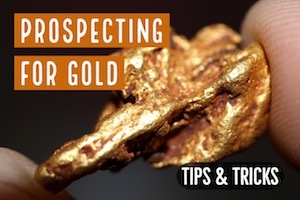 A hard working gold prospector can still find some for themselves.